New Delhi: Every vehicle comes with its own expiry date. 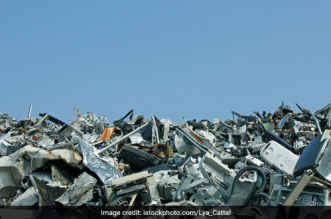 Once the vehicle has lived its life, usually, it goes to the dumpyard and stays on the planet forever, as a wasted item. But, Doaba Public School (DPS) located in a small village of Punjab, decided to not let its 20-year-old bus retire in the same fashion. 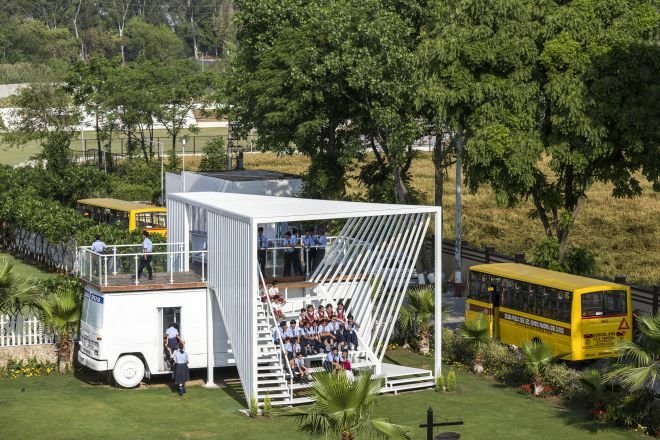 Instead, the school authorities decided to upcycle the bus into a bus-pavilion that is today being utilised as an open-air theatre, play area and as well as a museum. This was the school’s very first bus, the authorities had purchased it through a loan back at that time. It was a symbol of education and the hardships the school has gone through, in order to make education available in the rural parts of India, so the authorities had a great sentimental value attached to it. They came to us with a request of transforming this bus into a valuable product without eliminating its basic structure, so that it remains the part of the school. 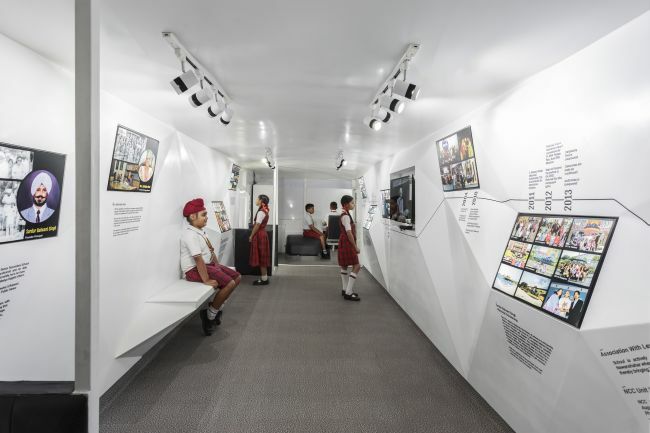 The bus that served almost 8,000 trips for over 20 years has been upcycled in such a way that its interior space has been transformed into a gallery that offers a peek into the school’s history over the past four decades. 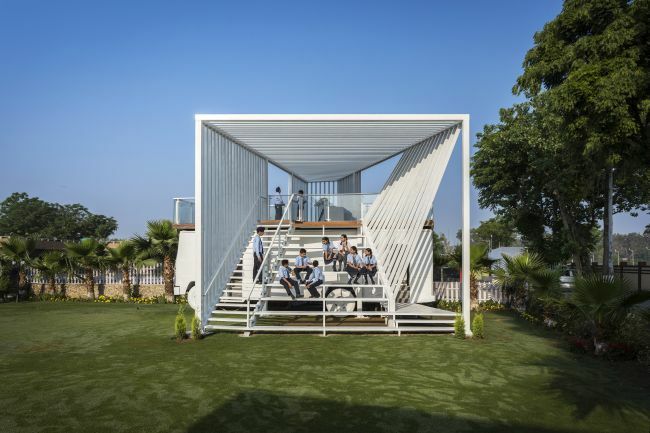 Whereas, outside of the bus serves as a congregation space where students and teachers can sit and have a relaxing time. The roof of the bus has been converted into a deck and also serves as a small Open Air Theatre. Along with keeping the sentiments intact for the bus, the authorities wanted the upcycled bus to pass on an important message of sustainability, recycling and why it is necessary for each one of us to start thinking in that way, adds Ms Prerna. 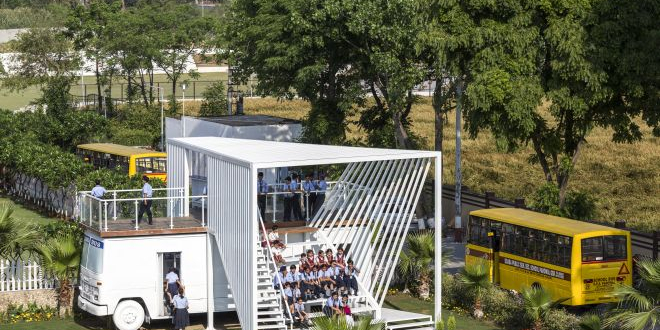 Completed and transformed in six months’ time, today, the 323-square-foot Bavillion – an upcycled geometric bus-pavilion is a living symbol of the fact that how upcycling and recycling waste products, if done right, can make a difference on the planet. This upcycled bus is now winning hearts all over for spreading the message of a sustainable future and has also been nominated for the prestigious Eurasian Prize – Architecture and Design Award.